conversation and networking before the excitement of COALITION 2018. Convene at the Hyatt Tunnel, located near the Lobby Level Check-in Desk. Buses will begin departing at 6:45 pm. Conference badge is required to receive lanyard and program for entry. kick off a great week with friends. Attire is Business casual; wear your walking shoes, shuttle drop off point is a short 1½ blocks away from the House of Blues. Accessible transportation also provided and will drop off in front of the House of Blues. Engage in great conversations with meeting planners and key sponsors this morning. Sponsored by Bahamas, Tampa Bay, New Orleans, and Detroit. Elevate your day by joining us for breakfast before the general session. Connect with industry friends and share industry trends at breakfast. 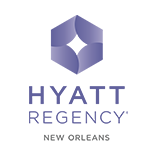 Sponsored by Hyatt Regency New Orleans. Sponsored by Hyatt New Orleans. partnerships that have made them valuable and successful. Featuring a powerful professional who ignites change and propels passion in people all over the country. See location on your invitation. 11:30am - 12:45pm Strategies and Techniques to Elevate the Power of Your RFP! Let’s engage in the ABC’s and 123’s of getting the financial impact you want from CVB’s and DMO’s just by upgrading your RFP. demand for technology solutions we will show how data management can pre-populate and help navigate your customers through the application process and features that create time savings solutions for event managers. Sponsored by MGM Resorts International. The NCBMP Business Exchange, a Reverse Trade Show, allows planners, suppliers, and service providers to meet one on one for “speed dating” sessions in a high energy environment. 8:00pm - 10:30pm The "All Black Party"
Leave your colorful attire at home, NCBMP is celebrating with an All Black Party! The event will feature installation of new board officers and presentation of 2018 Awardees. Come prepared to enjoy a laid-back evening complete with an amazing DJ, food stations fit for foodies and an atmosphere set for great time! This will be a VIP event. Our Annual Meeting concludes with a delicious brunch celebrating our 2018 Industry Leaders. 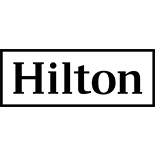 Be sure to stay until the end for a chance to win a free 2019 Annual Meeting registration and hotel stay, plus other exciting prizes. 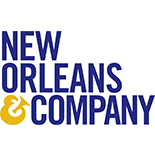 for those of you who would like to get off the beaten path and enjoy the true Soul of New Orleans. then take a trip to Congo Square (Birthplace of Jazz with a tribute to Jazz Legends of New Orleans) to observe a healing Drum Circle which was performed by the enslaved in this very spot. The tour culminates with a special visit to a house museum honoring the legacy of free people of color – Le Musee’ de f.p.c. registration desk to secure your spot. Suppliers: $55 per person - stop by registration to purchase your ticket.